CPO Sales Continue to Grow - Cox Automotive Inc.
New-vehicle prices are at record highs and interest rates are at 8-year highs. Sales of certified pre-owned vehicles increased to 265,878, up 0.4% in Q1 2019 compared to the same time period for 2018. The CPO market is primed to continue its growth heading into the spring selling season. Affordability pressures generally benefit the used market and strengthen demand as a result of buyers being priced out of the new market. New-vehicle prices are at record highs and interest rates are at 8-year highs. 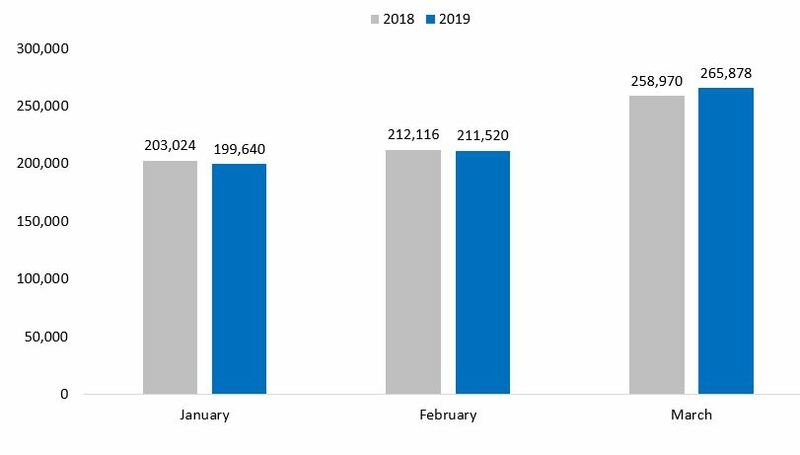 Perhaps this is one of the reasons that we saw sales of certified pre-owned vehicles increase to 677,038, up 0.4% in Q1 2019 compared to the same time period for 2018. This is in stark contrast to the weakness we have seen with new retail vehicle sales, which were down 4% for the quarter. As the used-vehicle market continues to see strong consumer demand with favorable supply of off-lease units coming to market, the CPO market is primed to continue its growth heading into the spring selling season.